WHEN: THURSDAY, MARCH 21, 2019 AT 7:15 PM. Doors open at 7 pm. LOCATION: We will be at our usual meeting place at the Community Church of Cedar Grove, 65 Bowden Rd, Cedar Grove. 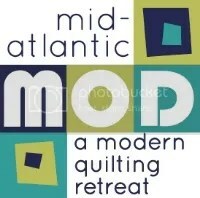 Quiltcon recap! Tell us what you loved, hated, learned… Short & sweet — promise! Saturday March 30: Member-led workshops “Rulers” and “Aprons”. Spots are still available. Info & sign up here. See you in Cedar Grove Thursday evening!